The FDA says you can now test yourself for cancer at home without a doctor. Here's why you shouldn't. Cancer-screening is a double-edged sword. Knowledge can save lives, but it can also trigger fear and lead to unnecessary harm. By David Ropeik, Author, "How Risky Is It, Really?" You sent in the box with a saliva sample a few weeks ago, and tried to put it out of your mind. But you couldn’t. Not completely. That gnawing uneasiness about what the results might say just kept creeping into your thoughts. Now the results are back, and the worry you’ve tried to suppress surges up as you begin to read the letter from the testing company. And there it is, right in the opening paragraph, those dreaded words you feared the most: You have the genetic mutation that raises your risk of breast and ovarian cancer. Your heart starts racing and your palms start getting sweaty, just some of the responses to the release of glucocorticoids and other stress hormones triggered at the first sign of danger. These neurochemicals rev up the muscles and senses humans need to respond quickly to an immediate threat, and turn down the relatively sluggish cognitive systems involved with processes like rational thinking and memory. As a result, you’re finding it difficult to recall what you learned about the genetic test before deciding, with no advice from a medical professional, to take the test in the first place. Earlier in March, the FDA approved the first direct-to-consumer genetic test kit for three rare genetic mutations known to significantly raise the risk of breast and ovarian cancer in women. Later in the letter you will read a host of caveats; that the mutation doesn’t cause cancer all by itself but merely increases its likelihood, and that even with this mutation you may never get sick. You will also read the kit’s recommendation to get a retest and a detailed explanation of what your results mean from a doctor or a genetic counselor before jumping to any conclusions. Of course, before you get to those qualifiers, you have already jumped. As soon as you see “the C word,” powerful, protective neural wiring and chemistry guarantees that fear, not reason, will be firmly in charge as you learn about your results. Which leaves you facing what millions more people are likely to face in the years ahead: the increased risk of suffering not from cancer but from "cancerphobia," a fear of cancer so deep and strong that it sometimes produces judgments and choices that pose danger all by themselves. 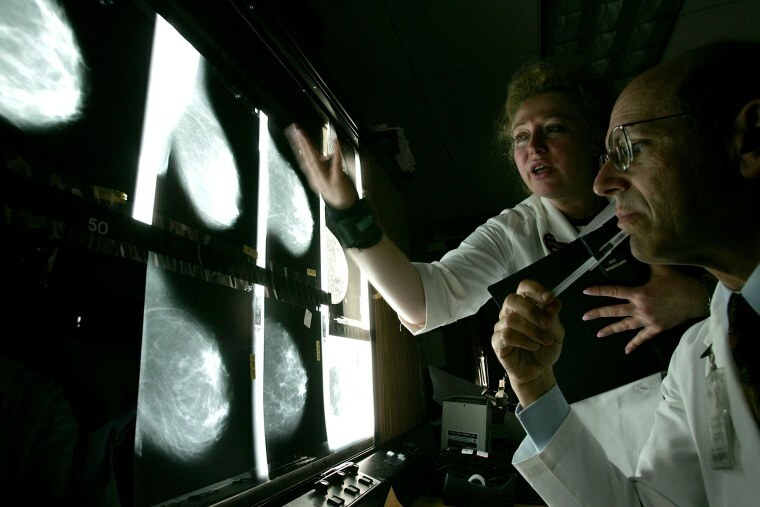 Earlier in March, the Food and Drug Administration (FDA) approved the first direct-to-consumer (no medical provider approval necessary) genetic test kit for three rare BRCA 1 and BRCA 2 genetic mutations known to significantly raise the risk of breast and ovarian cancer in women, and to a lesser degree increase the risk of breast cancer in men, principally among those of Ashkenazi Jewish heritage. (These mutations also suggest the possibility of increased risk of prostate cancer.) But these are just three of thousands of mutations that raise the risk of breast and ovarian cancer, and most cases of these cancers are not caused by inherited genetic defects in the first place. So this newly approved test is of value to a pretty narrow population. Given our deep societal fear of any kind of cancer, demand for over-the-counter genetic tests for all sorts of cancers is sure to rise. And that’s not the only potential problem with what the FDA has done. Given our deep societal fear of any kind of cancer, the common knowledge that finding cancer as early as possible is the most effective way to fight it and the growing popularity of genetic testing in general (for ancestry and health information), demand for over-the-counter genetic tests for all sorts of cancers is sure to rise. The FDA action on the BRCA 1 and 2 mutations has opened this door. But with direct-to-consumer tests, you can get potentially terrifying information about your cancer risk without any of those important steps, and that can make you a victim of cancerphobia, driven by fear to opt for drugs or surgery or other risky treatments that your condition might not warrant. That’s precisely why the FDA ordered 23andMe, the company offering these tests, to take an earlier version off the market five years ago. The government said that “serious concerns are raised if test results are not adequately understood by patients or if incorrect test results are reported.” Direct-to-consumer tests raise the risk of both. 23andMe also says it will provide customers with links to genetic counseling resources — available at the National Society of Genetic Counseling website and from for-profit businesses like Genetic Counseling Services that offer genetic counseling by phone or email (for a fee). We are at the dawn of finding out which way these tests will lead. David Ropeik is an author and consultant specializing in the psychology of risk perception, risk communication and risk management. He is author the book "How Risky Is It, Really? Why Our Fears Don’t Always Match The Facts." Previously, Ropeik was the co-director of the Harvard University professional education course, “The Risk Communication Challenge.” He is also a DuPont Columbia award-winning reporter and journalism professor. David Ropeik is an author and consultant and public speaker on the psychology of risk perception, risk communication, and risk management. He is author the book "How Risky Is It, Really? Why Our Fears Don’t Always Match The Facts" and principal co-author of "RISK!!! A practical guide for deciding what’s really safe and what’s really dangerous in the world around." Ropeik was the co-director and principal faculty member of the Harvard University professional education course, “The Risk Communication Challenge.” He was an Instructor in the Harvard Extension School’s environmental management program. He was a television reporter in Boston from 1978 – 2000, where he twice won the DuPont Columbia Award, often referred to as the Pulitzer Prize of broadcast journalism, along several other national and regional awards. He has taught journalism at Boston University, Tufts University, MIT, and Northwestern University.